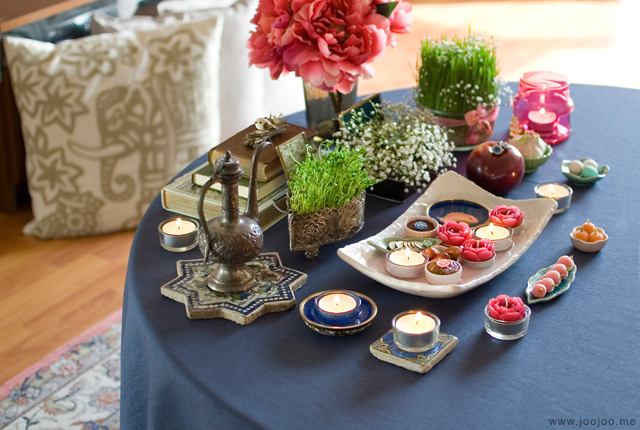 Another year has passed and again another Nowruz is here. 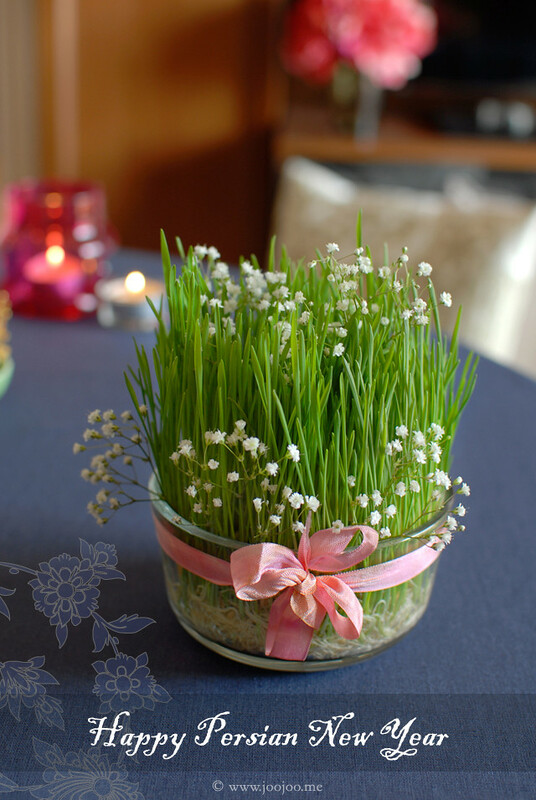 Nowruz marks the first day of spring and the beginning of the year in the Iranian calendar. It is celebrated on the day of the astronomical Northward equinox, which usually occurs on March 21 or the previous/following day depending on where it is observed. This is my little Haft Sīn! Probably you remember the ones from the previous years. 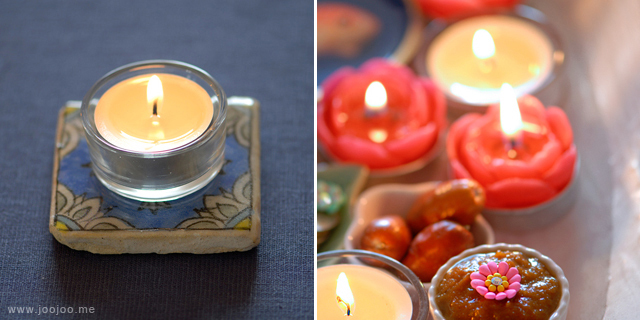 ✿ Serkeh – vinegar – symbolizing age and patience. This pretty container is a gift from my lovely sis. It's a handmade Persian antique piece. This is all so beautiful!! I love this post. Learning about the seven "s"'s is so interesting. Happy New Year! I love your posts! 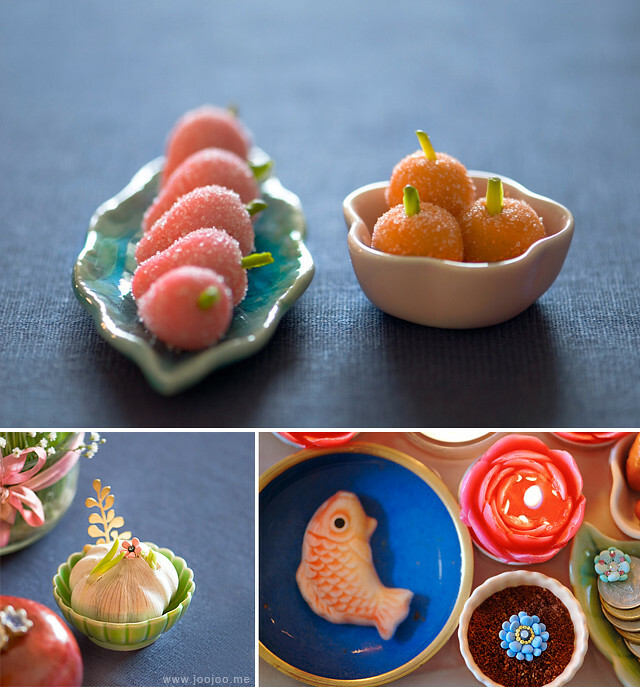 They also help me learn a lot about the Persian culture. My fiancé is Persian but all I know is how to say tea and that they love, LOVE tea. 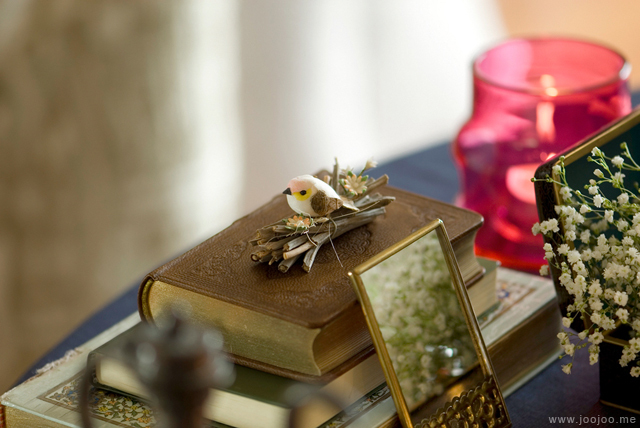 What a lovely table setting - so beautiful! Happy New Year! What an awesome post, I love learning about other cultures! I grew up in a small Southern town so not a lot of International exposure. 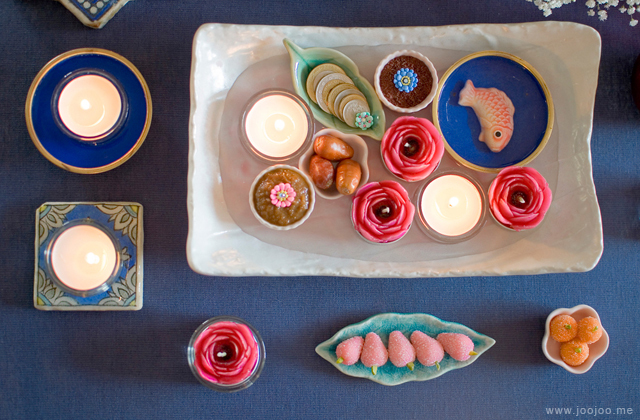 The table setting is so lovely, and I absolutely love the Iranian pieces you have - the antique container, the tile, etc. 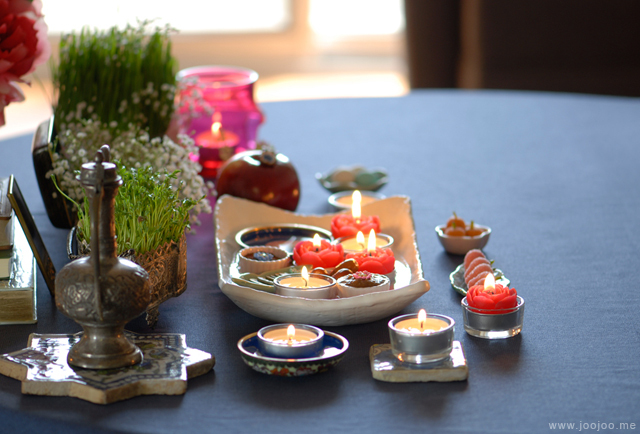 Happy Nowruz to you and your family! 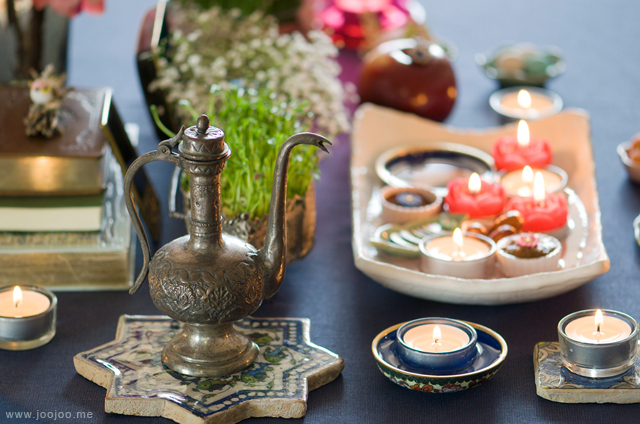 Happy Persian New Year to you and yours. Great Post ! Your table is so beautiful ! I miss your posts! Hugs! 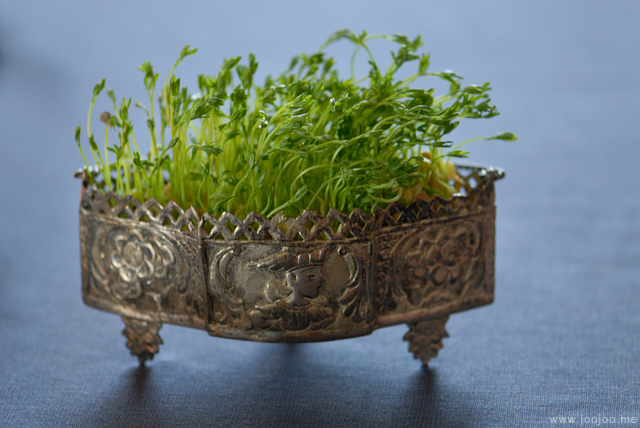 This post is beautiful – may I have permission to use the photo with the Persian antique box as inspiration for a drawing? Thanks a lot for your lovely comments! Big big hugs to all of you!